You’ve just gotten your food or beverage product onto the grocery shelves or online platform. Think the hard part’s over? Not so much. Getting your brand on the shelf is only the first step towards success, keeping it there is the next – and that means working to create demand for your product. The good news is that digital marketing offers a variety of tools that can help you find new customers and retain existing ones. With new customers it’s all about getting people to try your product, while the goal for existing customers is to get them to expand their purchase volume or try your other offerings. Your first stop in attracting new customers is to do everything you can to help them find/discover you. Search Engine Optimization (SEO) helps your website become more visible by tailoring and expanding content to appeal to search engines. As a result, your website will appear higher up on a Search Engine Results Page (SERP) – and more of your target audience will see and visit you. Although there are no guarantees of when or by how much search engine visibility will improve, high organic search rankings bring a lot of credibility and are worth the effort. Create content (such as a variety of recipes, blog articles, or deep content about your products and category) that is useful to your audience. Yes, it takes time and dedication for content creation to be successful but investing in SEO brings long-term dividends because you build a set of content assets you own forever. Search Engine Marketing (SEM) builds on SEO to get you more search engine visitors through paid advertising. SEM reaches prospects who are searching for what your food and beverage brand has to offer by placing your website at the top of their Search Engine Results Page (SERP) for keywords related to your product. While it can be complex to do correctly, SEM is quick to deploy, very adaptable, and the most targeted of all media. It has the highest conversion rates of the digital advertising channels – and is often the highest performing channel. 41% of grocery store customers use coupons, while an additional 35% would take advantage of them if retailers offered them. High-value digital coupons are a great way to drive trial and build the loyalty of newcomers. For your existing customers, BOGO digital coupons encourage pantry loading, and cross-sell discounts encourage trials of additional products. Once you create coupons, promote them through social media, SEM, and other digital advertising channels. Coupons can drive engagement and increase clickthrough rates on digital ads. Pro Tip: With couponing, it’s important to use an anti-fraud digital platform such as Coupon Factory for coupon dispensing. 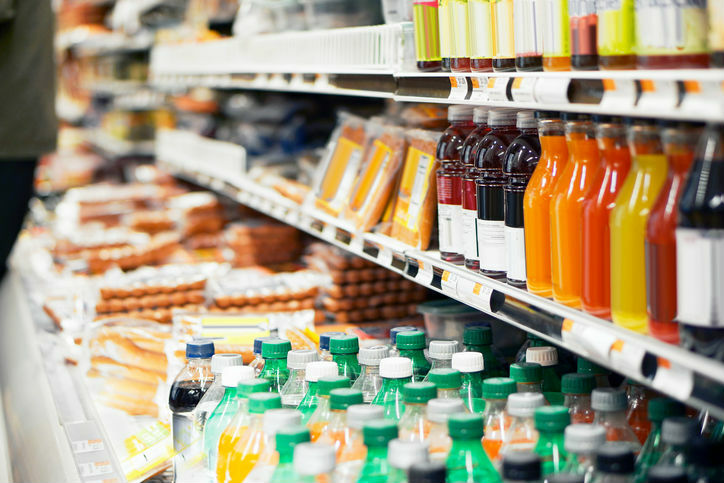 With the ability to provide real-time store-level product availability information to customers, Destini is a game-changer for food and beverage products. The product locator includes data from over 80,000 retail locations through IRI or Nielsen and is the only locator solution that includes natural & specialty retailers that report to SPINS. Best of all, Destini offers fully customizable web, mobile, and Facebook applications that make it easy for customers to find you and uses an automatic update of store data so information is always current. Remarketing is a powerful tool that will help you get more out of all of your marketing efforts. It focuses on previous website visitors by using display and text ads with calls-to-action (CTAs) that encourage them to return to and reengage with your website and brand. Display, text, video, and social media channels can all be used for remarketing. It’s also easy to customize your messages based on whether the past visitor is already a customer. Needless to say, remarketing enjoys strong conversion rates. Don’t overlook your email list to promote new/additional products to your current customers. This direct, low-cost channel is also an effective, expressive medium. That being said, typically only 20%-30% of your email recipients will look at your email, so it should not be relied upon as the only means to reach your current customers. Fortunately, we’ve provided 6 additional ways to reach them! A great way to up the visibility of your message beyond the 20-30% open rates your email will receive is by creating custom audiences on social media. Simply load your email list onto your chosen social media platform to easily deliver content and offers using paid social media ads delivered to customers on your email list when they log on to social media. Social media couponing is a great way to encourage existing customers to pantry load and try additional products. Gaining entry to a grocery chain is an important step to success, but it is only one step. Helping new and existing customers discover your food or beverage product will be the bread and butter (we had to say it) of your enterprise. These seven ways to build your base will help.